Trust is important when it comes to moving and storage companies. Not all storage facilities maintain the same security and surveillance standards to keep your property safe, dry and protected. Their warehouses may not be maintained to the exacting standards that an industry leader such as My Guys Moving & Storage holds itself. 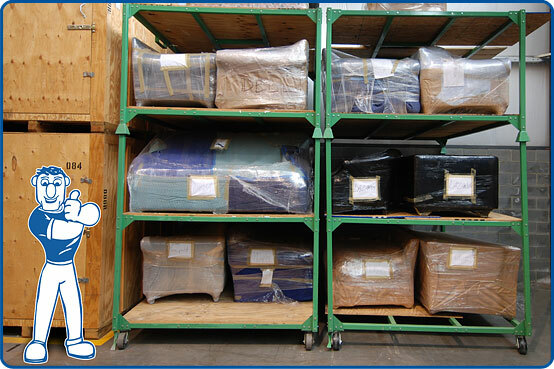 Our trained, storage professionals make sure that everything you put into our state-of-the-art facility is returned in the same condition you left it. So whether you need short-term storage for a few days or long-term storage for years abroad, we are the movers with storage who can provide a convenient, affordable storage solution. Any great business includes outstanding customer service, and that’s what makes My Guys Moving & Storage special. At each step of the packing, moving, and storage process, we pride ourselves on giving you an easy and worry-free experience. Many storage companies don't offer a containerized storage that minimizes handling and the potential for damage, but that’s not the case at My Guys Moving & Storage. We can bring vaults to your door so that you can have the peace of mind that your items remain safe and secure every step of the way. Customers can use our storage service even if they aren’t moving or if they want to declutter their home so they can stage it for sale. If you find that you do need help moving, however, My Guys Moving & Storage will always be there. Local and long distance moving and storage is our specialty.